This year is shaping up to be the best year for Upper Cervical Chiropractors. There has been great media attention, great research attention and the list of MUST see seminars this year is growing and just simply awesome. 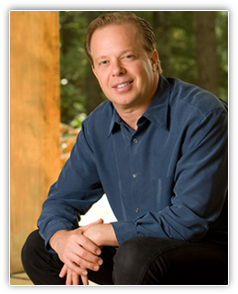 I just got off the phone with Dr. Shawn Dill, founder of “That Something” Coaching Program, who just shared with me that Dr. Joe Dispenza will be the Keynote Speaker at this year’s Synapse. Amazing. Dr. Joe Dispenza is a personal hero of mine ever since I first became aware of him in “What the Bleep.” He will be sure to change the way you perceive your reality. Over the last 10 years, Dr. Dispenza has lectured in over 17 different countries on six continents educating people about the role and function of the human brain. He has taught thousands of people how to re-program their thinking through scientifically proven neuro-physiologic principles. As a result, this information has taught many individuals to reach their specific goals and visions by eliminating self-destructive habits. His approach, taught in a very simple method, creates a bridge between true human potential and the latest scientific theories of neuroplasticity. He explains how thinking in new ways, as well as changing beliefs, can literally rewire one’s brain. The premise of his work is founded in his total conviction that every person on this planet has within them, the latent potential of greatness and true unlimited abilities. You will also notice Dr. Gerry Clum and Ms. Sumaya Kazi on the agenda to help round out the perfect weekend. I’m even in the mix there somewhere with some exciting news on the Worksite Wellness front. I remember being really impressed with Dr. Dispenza when I watched “What the Bleep.” Sounds like a really cool seminar to go to. I’m signed up to go to Evolution, but I haven’t heard yet if free rooms were available still. You are making definitely making the seminar rounds. Awesome! Darren, We should see about getting Dr. Dispenza there next year. Maybe a little to late for this year. Please Email me the info on seeing Dr. Joe Dispenza at 2009 Synapse. just say dr. joe speak today! presentation of the scientific evidence and spectacular real time video of nerve growth and neural networking. your innermost dominant thought becomes your outermost dominant reality as your thoughts literally change the hardware of your brain and body physiology prior to the actual manifest experience. very engaging and NOT to be missed! i really impressed by Dr.Dispenza but most of all Dr. Mark Halpern is the best.Dr. Mark Halpern has been serving his community with chiropractic care since his graduation from Canadian Memorial Chiropractic College in 1996.